More organized researchers catalogue their ideas on index cards. A single idea to a card works best. Fortunately, computers are excellent tools that provide multiple useful searchable systems for storage. Organizing your Logic project ideas into subfolders, based on criteria that is meaningful for you, is the simplest and most effective way to catalogue a large bank of ideas in various stages of development. 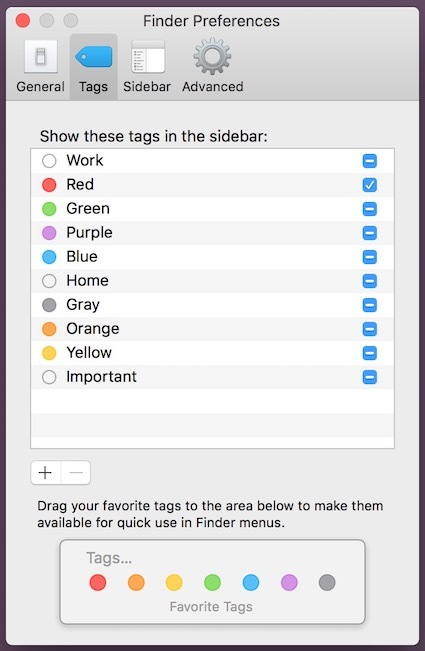 Alternately, you could tag them by colour in the Finder preferences. I’m personally not great with colours, so prefer name and/or date-based organization methods for my ideas. Computers are great at his sort of meta-management. But what about once we are working within our Logic Pro X projects? We will still undoubtedly have multiple musical or sonic ideas and paths to explore as our initial ideas develop. At the initial stages, the goal is to leave yourself maximum flexibility in designing your ideas, without painting yourself into a virtual corner with no way to backtrack. Logic has many automatic ways of managing work in progress, but I’m old school and, at least at the initial stages, like controlling the development of my ideas manually myself. I like using the Save As function to save multiple versions of a Logic project. Save As works particularly well when organizing Logic projects as folders rather than as packages. With the Folders format, multiple project files will share the same assets without being duplicated with each new Save As. I often do a “Save As” at critical departure points when taking my ideas down new paths. If unsuccessful, I can easily revert to a previous version without having to navigate a lengthy complex and cluttered undo list. By “Saving As” manually, I get to choose which are the right moments for me to commit my ideas at their various stages of development. Unlike project backups, which create backups automatically every time you hit the Save command. Logic offers internal tools for curating your projects as they are in progress, without needing to resort to manual file management in the Mac OS Finder. Project Alternatives are an excellent way of managing your ideas when working with Logic’s Package format. There are pros and cons to this approach. All variations reside within the one single Logic package. So, there is no duplication of assets and minimal risk of orphaned files that go missing or are accidentally deleted or moved on the hard drive. If however there is project corruption, your entire Package may be at stake, and you risk losing all your versions in their various stages. Fortunately Logic provides a nice virtual “fire escape” if this happens. Select your package in the Finder and tap on the spacebar to obtain direct access to the individual project alternatives. In case some remain uncorrupted, you will quickly gain access to them here. You will also be able to access the individual alternatives from Logic’s All Files Media Browser, and either open or import the data into a fresh project if necessary. Versioning your projects is an excellent way to explore multiple variations simultaneously. Maybe you want to try different tempos, different instrument patches, effects processing, and arrangements all at the same time. Logic can manage any of these individually within an ongoing project relatively painlessly, but all together, are a lot keep track of. If you find yourself going down multiple paths like this without versioning your project, Logic’s Revert To Saved feature is your friend. Just remember not to save your work in progress until you are sure you don’t want to backtrack. Save As or Project Alternatives are more flexible. You can change your mind tomorrow, or next week if you're going to backtrack then. Ultimately our ideas begin to firm up. We’ve used Global Tracks to explore alternate tempos and feels, time and key signatures as necessary. It’s time to collate our ideas further. Bring them in the correct order, arrange them, orchestrate them. Logic has several tools at this stage to help us with our ideation. The Arrangement track is a great way to experiment with alternate form and structure. Alternatively, the Edit menu (or equivalent key commands) provides ample ways to alter the layout of our ideas. But what about trying out alternate parts themselves, rather than just reordering them? I’m a big fan of the New Track With Same Instrument function, found under the Track menu. It is a fantastic way to manage multiple individual parts with easy access to any of the variations. Logic’s object-oriented foundation lets us use this to have several tracks all playing through the same channel strip. Make sure the Power button is showing in the Track Header (enable the on/off option in the Configure Track Header window), and use it to quickly turn on/off variations of the same part, all playing through the same software instrument. The power button works with Audio as well; multiple tracks all playing through the same channel strip are a great way of curating various ideas while saving CPU resources since they all share the same effects processing. Only one (in the case of Audio Tracks) will play at a time, but that’s the whole point - having the ability to have several ideas available to you for easy switching. Track Alternatives provide a neater way of doing this same thing - having multiple versions of a part available to audition when necessary. It is “neater” in that the variations are not directly visible in the Tracks Area. Switch between them with either a mouse click or key command. Only the visible alternative is active. The advantage is primarily organizational. We can neatly store the alternatives, each with unique names; but there are two disadvantages. It is more difficult to stitch together pieces from the different tracks, should you want to do that. And you are limited to only one playing at a time. Unlike audio tracks, multiple software instrument tracks pointing to the same channel strip can play simultaneously. While this could lead to an organizational headache (identifying what plays back from which track), in skilled hands, it is a useful way to manage complex parts. For example, I often use this on drum instruments. With multiple tracks playing simultaneously through the same channel strip/instrument, I can keep the kik, snare, toms, hi-hats, etc. each on their individual tracks. With each part segregated into its own set of regions, I gain the ability to treat them each with unique region parameters. So, I can experiment with different quantization, timing, delay, etc. on the different kit pieces, all in a non-destructive format. A large part of managing and curating ideas at this level is keeping your project organized. Using the Hide function in the Track Header is useful for controlling multiple tracks playing through the same channel strip. Remember though that hidden does not mean they are inaudible. Make sure, if you are hiding tracks to store unused ideas out of the way, that the power switch is off. Alternatively, you could mute the regions on the tracks themselves, although this creates a greater chance for inadvertent errors. Part of developing ideas is trying multiple takes of the same section until you get a take you are happy with. Take folders serve an invaluable role for the curation and collation of numerous attempts at the same part, whether working with audio or with MIDI. Take folders are containers that hold multiple versions (takes) of the same part. When used with audio recordings, their intended purpose is not just organized cataloguing, but also collating the best segments of each together into a composite (or comp) take. Comping is accomplished via swiping within the take folder to promote the swiped section to a new composite take. Quick swipe comping is an invaluable tool and workflow used in the service of pushing ideas to the next stage of completion after their original conception. Take folders are slightly less flexible when used with MIDI data on instrument tracks. Managing, sorting, auditioning, selecting, and playing through the various takes works perfectly. But due to the nature of MIDI, several different types of MIDI messages are often happening concurrently. The simple act of quick swipe comping does not account for the selective inclusion/exclusion of specific types of MIDI events. It would, therefore, more often than not result in notes being divorced from their sustain pedal or mod wheel info, resulting in the incomplete transfer of data to the composite track. So stitching together bits from different takes by swiping is excluded from working with MIDI data. Logic has several objects that act as containers of sorts. One of the oldest such tools in Logic is the venerable Folder track. It serves as a container for other tracks. Folder tracks are unassigned to a channel strip in the mixer. Instead, each track contained within plays back through its single dedicated channel strip. Track folders an ideal tool to organize ideas either horizontally or vertically. Let me explain. Say you have an idea for a layered hit happening at a particular position in your music, and it uses several different sounds. Pack all the regions triggering the hit into a folder. This way you only have a single object to handle for the entire layered sound. You can quickly move/copy/paste/loop, etc. this aggregate sound by working with one object. That is a way of vertical thinking. This one object contains several different elements happening n several different tracks all at the same time and can quickly be moved vertically in time. Thinking horizontally, let’s say you have some horn stabs that happen several times in each chorus. Pack them into a folder, and you now have only one object to deal with should you want to repeat this series of horn stabs in subsequent choruses. You don’t have to worry about carefully placing each of the individual hits at the exact right position each time. Moving the one object moves everything contained within while maintaining relative positions and offsets. If this part uses layers on multiple tracks, pack them all into the folder and get the best of both the horizontal and vertical services this tool offers. I often do this with layered backup vocals when I remove breaths from the beginnings and endings of the regions. The start times will likely end up being staggered and not conforming to exact grid subdivisions. Dealing with them as one object greatly simplifies moving or copying them. And it is simple to double click on a folder region to burrow in and access the individual contents if further editing is needed. Track stacks are another kind of storage container, used for grouping related tracks together. The primary difference between these and folder tracks is that these are not (generally) dealing with regions and are not object-oriented in their implementation. The beauty of folder tracks is that you can move objects around on them and be moving the contents of several tracks simultaneously. Track stacks are aimed more at playback and routing. Both summing and folder stacks involve controlling the playback of several tracks together. Summing Stacks allow for developing ideas involving routing and effects processing an idea that may include multiple tracks, each with unique effects processing, playing a layered sound, sending to a shared effects bus, can be packed into a Summing Stack. A single object in the mixer is used to process and route this sub mix. Access the individual tracks with the upward pointing disclosure triangle on the stack master. Folder tracks offer VCA style volume control over the multiple tracks contained within. In each case, these are a way of packing your ideas together for a single point of access. At the most basic level, regions are the fundamental “containers” in Logic’s design model. In the case of MIDI, they are containers for all types of MIDI events. Each MIDI data type is edited in a variety of ways in each of Logic’s MIDI editors. Notes can be moved, muted, deleted, elongated, shortened, etc. Controller data can be scaled or offset from original values. Editing the region itself effects all of the MIDI data contained within. Regions themselves can be muted in their entirety, making them an invaluable tool to explore other variations on an idea at the micro level. Copy a region, make subtle (or not so subtle) edits to some of the data contained within. Copy again, make more changes, etc. A collection of variations are available for future recall. Audio regions are slightly different, although still containers of sorts. An audio region is a pointer to play back a portion (or all) of the parent audio file. So in a sense, they are containers in that they contain playback start and end points for an audio file. One audio file may have several regions derived from it, each playing back different segments fo the file. Regions, be they audio or MIDI are ultimately the first scraps of virtual paper we throw into the virtual shoebox to start our ideas. From the macro to the micro, Logic offers lots of ways of managing your ideas in their various stages of development. The better we know Logic, the more precisely we can use it in ways that conform to our subjective way of thinking and working and ideation.